I have been lucky enough to attend The Masters twice, and both times had a truly tremendous experience. I've been to Opens, Ryder Cups, the US Open and many national tournaments but, as you would probably imagine, Augusta National was something quite different. So, if you are lucky enough to be planning a trip, I have a few tips which may help you get the most out of it. 1. Consider staying in Augusta - it's cheaper than you think. A lot of the tours from the UK will have you staying in places like or Columbia or Athens. These are up to a couple of hours outside of Augusta and, as such, your days will be very long and the time you have to spend on the course will be dependent on your organiser's transport schedules. On my first visit, we rented a house 20 minutes walk from the first tee. The second time, we stayed in a motel nearby. It was a fantastic feeling to wake up knowing that we were a mere stroll from the Masters. The Friday evening in 2014 was the most magical experience. Rory Mcilroy was one of the very last out and battling to make the cut. The course really emptied for the last hour or so and my friend and I walked around with just a handful of people - including Rory's Dad and tennis-playing girlfriend from the time. They were more than happy to chat to us as the sun set. Had we been scrabbling to get out of the car park or find our bus, we would have missed out. Hotels can be expensive but check out Airbnb or the official rental service for some options. 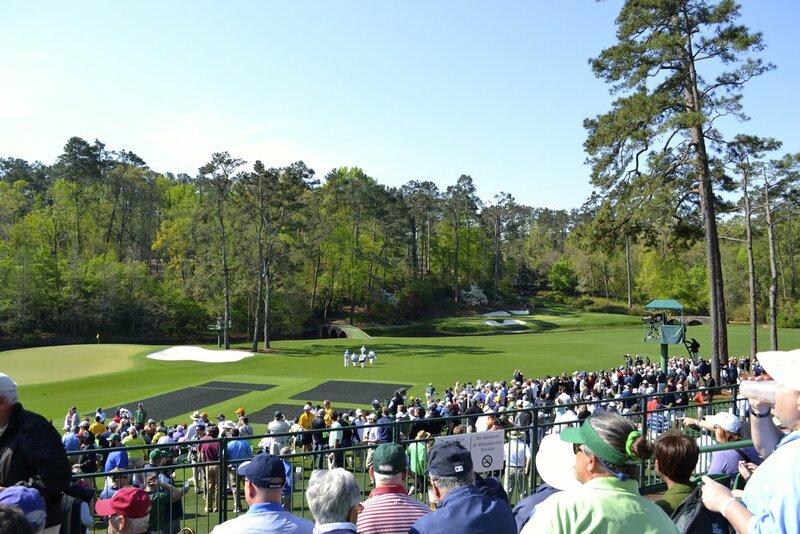 Getting tickets is sure to be one of your top challenges for the Masters. The powers that be are making it even harder for you to get your hands on them, driving the price up. This year you are only allowed 2 ‘re-entries’ per day which will suppress the second hand market more. To give you an idea what you’re in for expect to pay around $2,000 - $2,500 a day if you are trying to get tickets at the last minute. Gulp. As I write this at the beginning of Masters Week, tickets for the final round on Sunday are changing hands at $2,300 - last year at the same time they were $1,500, and $1,200 in 2017. That’s quite some inflation. There are two main ways you can get them. Firstly, Stubhub has tickets available. The prices change daily - normally rising as the event gets closer. However, if the weather looks like it may be bad (or the leaderboard is less than stellar) the price may fall. Although, that could go the other way if Tiger looks like he’s going to go head-to-head with Rory in the baking sun. If you do go with Stubhub then you will pick the tickets up on the day from their rented accommodation. This will likely be a weekly pass though and you will have to pony up quite a large deposit in case you don’t return it. The other option is to go for a scalper on the street. This may sound a little dodgy but you should be fine if you choose wisely. Firstly, you need to be further away than 2,700 feet from the venue. Doing otherwise risks arrest and incarceration! There’s a good article here which explains it all. It is not illegal to purchase a ticket this way, but it is against the club’s own terms and conditions. I bought a ticket last time from Jimmy D (quoted in this article) who has set up outside of T-Bonz for over 20 years. He’s a very straight-up guy and probably a little cheaper than Stubhub, without the need to return the badges at the end of the day. Buyer beware and all that, but I would recommend him. 3. If you go on a practice day, don't forget your camera. Cameras are forbidden on every day of the tournament - this is the only event that holds out against them. However, on a practice day you are allowed to snap away to your heart's content - the pictures sure make a nice screensaver! 4. Don't just stay in one place - walk the course. One of the great things about the Masters is that the course is not busy. They don't say how many patrons/punters are on the course on any given day, but we never felt we couldn't see the action. Indeed, at times, it was slightly surreal just how close we could get to the action. Last year I saw every single shot that Garcia and Rose hit - until the 18th hole when I only missed their tee shots. The other fantastic thing, which you don't really appreciate on the TV, is that only the players, caddies and a scorer are allowed inside the ropes - that means that you don't risk having a C list celebrity blocking your view. There are stands/bleachers on several holes on the course and, again, these are really accessible. I have spent days at the Open, finding myself stuck behind a stand, hearing the cheers going up trying to work out what is going on. No such concern here. On the Sunday, with a couple of groups still to come through, we had no problem wandering down to the stand behind the 12th tee which overlooks the 11th green, before nipping over to the stand behind the 13th. Also, there are fantastic vantage points to stand on all over the course. You have probably heard from some of the commentators that the course is more hilly than it looks on TV (!) and that really lends itself to finding a great spot to watch a few groups coming through. This takes a bit of getting used to. Most patrons will have a green folding seat clutched in their hand as they enter the gates. If you don't have one, you can buy one inside. It's best to put an identifier on your seat (there is a little place at the back for a business card, how quaint!). Then, you simply go and put your seat down anywhere you want on the course (we did manage to get by the 18th green on Sunday but it was an early start...) and then you are free to either sit in it or just leave it until you want to use it. It will be there, unmoved, and waiting for you to claim it when you return. When you get back to your seat you may well find someone else sitting in it. That's the done thing. You just politely let them know that's your seat and they will move on with a smile and find the next empty seat. This is very useful information because it obviously works both ways. When you are out on the course and you fancy a sit down, you are welcome to sit in any available green seat. As I say, it does take a bit of getting used to, but when you get in the habit, it's great! Without a doubt, Augusta has a very interesting bunch of spectators and you can have some great conversations. On the very first day we were there, before even going out to the course, we were getting some breakfast and struck up conversation with the couple next to us. I explained that it was my first time and the gentleman explained he had been coming for over 50 years and his father, Claude Harmon, had won the title back in 1948. In more recent years, if you had been following Lee Westwood, the odds were that Ant, Dec and Alan Shearer would be nearby and more than happy to have a chat. Well Ant and Dec were, Shearer was a bit miserable. (I recognise this will mean more to my UK followers than those outside!). If you are a golf dweeb then there are plenty of golf journalists to spot and most have been really happy to chat. Alan Shipnuck was particularly animated about his trip to the Scottish Links. The members stand out because of their green jackets which they wear regardless of the temperature, and are more than happy to tell you some anecdotes about the course. No invitation was forthcoming to join them for a round which was weird. 7. Enjoy the food and hang on to your beer cup. The merchandise tent is everything you have heard it is and more. The selection of goods is phenomenal and the quality is excellent. It is impossible not to get the credit cards out and spend more than you had intended. However, do not make the mistake of then having to carry a plastic bag around for the whole day, you will grow to hate it. Instead, leave it at a shopping check-in and pick it up at the end of the day. The queues weren't too horrible. It is a strange, but slightly uncomfortable feeling being out of contact with the rest of the world for 12 hours. It is a very unusual position for most of us these days. In fact, the only other time I've managed it in the three years between Masters trips has been on a long haul flight. But it forces you to take stock, contemplate what is unfolding before your eyes and actually smell the roses. Or azaleas in this case. One frustrating aspect of this policy is that there is no way to stay in touch with anything happening on the course but the group you are watching. There are lots of leaderboards which get updated to oohs and aahs from the crowd, but I think selling a radio with on course coverage, like at the Ryder Cup and The Open, would enhance the experience. It's interesting to see afterwards what was being said on social media compared with how it felt on the course at the time. So, hard as it might be, try to enjoy the feeling of isolation from the rest of the world. It's a bit like playing a three club challenge - interesting to do from time to time, but probably not something you'd want to do every day. While your trip will probably be focussed primarliy on the Masters, I would encourage you to try to play some golf as well, if you can. We played 2 rounds - once at the slightly bizarre Sage Valley and once at Palmetto. Palmetto is an absolute delight. It's a course which Alister MacKenzie had a big hand in creating and there are definitely some hints of the genius that made Augusta here. It's a fun course which is only open to visitors to play during Masters' week every year. Mike Cocking is the second ‘C’ in the architecture firm OCCM - ‘Ogilvy Clayton Cocking Mead’. While they may sound like a provincial English solicitors, they could go down as the most influential Antipodean architects for the best part of a hundred years. Their work has been extensive and widely praised, primarily in Australia but increasingly beyond. They restore, renovate and design from scratch and it’s hard not to enjoy their philosophy when they state ‘Our goal is to make the journey to the hole a more interesting one for the golfer’.. If you are planning a trip to Australia, I thoroughly recommend Mike’s podcast with Andy at the fried egg here. He is also an accomplished watercolour artist and his Golf Renderings site is well worth a visit. Graylyn Loomis spoke to him about his work here. I’m looking forward to using his guides on the course! Many thanks Mike for your selections. It is a tremendous list! Long before anyone thought about design there was the Old Course. The product of centuries of evolution and relatively untouched by man it just might be the most thought-provoking and strategic test of golf on the planet. The poster-child for a short, fun, playable course for the average golfer but somehow entirely relevant for the better player. Swinley is all class… understated & elegant, interesting & fun. My favourite of the heathland courses. In an age where developers seem obsessed by sand dunes and ocean frontage, Chicago shows us how superb design and construction can make a world-class course over fairly flat terrain and miles from the water. I wonder how many sites like this have been overlooked because they lack drama? Long before Pacific Dunes or Sand Valley, Mike Keiser purchased 90 acres of sandy, forested land near his beach home on Lake Michigan, to prevent developers turning it into housing. After some prompting he decided a small private golf course might be a good idea… somewhere where he and his friends could have a casual round in a beautiful setting and away from the fanfare of the larger country clubs and resorts. It might just be the most enjoyable day of golf I’ve ever had. Can golf get any more fun that this? It’s a brilliant design and North Berwick should be a must see for any visitor to Scotland and not just because of the Redan or the Pit. It may not have the undulation of Royal Melbourne or the ocean views of Barnbougle but few get as much out of their property as Kingston Heath. 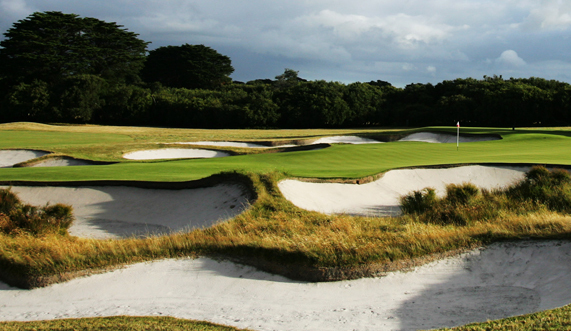 Whilst Mackenzie seems to get all the credit, the real heroes were Mick and his son Vern Morcom, who helped create interest with some of the best bunkering in Melbourne, adding some elegant contours and a beautiful set of greens on a site that gave them little to work with. If I had a time machine the one course I would love to have seen is Cypress Point just after opening. As good as the course is now those old black and white images show a course that was even better. The history buff in me gets all nostalgic at courses like Prestwick. Home of the first Open. Designed and built by Old Tom. The original 12 holes are fun and seriously quirky. And 13 might be the hardest green to hit of any of the championship courses. An extraordinary golf course and my dream membership. Can you include a course you haven’t played? I had built up my first experience at Augusta to the point where I felt for sure I would be disappointed. I wasn’t. I wrote earlier in the year about the new Golf Monthly UK and Ireland Top 100 list and some of the methodological flaws it may have. Next up for a critique is the recently released National Club Golfer Top 100 Courses in Scotland 2018/19. I can’t find it anywhere online so I have reproduced the ranking at the bottom of this article..
Like the Golf Monthly list, this is a product of scores from raters and a carefully constructed formula. However, there is more emphasis on the architecture and design than in the Golf Monthly list. 10% of the score goes on conditioning and presentation, 10% on scenery/ambience, 10% on charm and the remaining 70% goes to various architectural/design categories. Turnberry is once number 1 again. The top three (1 Turnberry, 2 The Old Course and 3 Muirfield) can only just be split but it’s maybe telling that they come out in the same order as in the Golf Monthly UK list. Turnberry’s claim to be the number one course in the UK is definitely gathering steam the more people experience the fantastic work that has gone on there in recent years. The most prestigious world lists such as golf.com and planetgolf.com still have Turnberry way down but I imagine if they play it now it will vault up these lists too. The best course in Scotland few people will have heard of. This list has a great mixture of the old and new. North Berwick (9) and Cruden Bay (10) are highly ranked but beaten by two more recent courses in Skibo Castle (7) and Loch Lomond (8). Skibo is a particular stand-out. This is an incredibly high ranking for the course that few will have heard of and fewer still will have played. It is mainly the preserve of members of the exclusive residential Carnegie Club but the 9am tee time is available to visitors. I think that’s a nice touch from the club and I hope they keep it going. Skibo is just a few minutes drive from Royal Dornoch and if the new Coore and Crenshaw course at Coul Links comes to fruition this is sure to be a coveted tee time. I’ve not made it up there to play yet but am hoping to take the trip before too long to see how they have created the 7th best course in Scotland and whether it truly warrants that place. You can’t get it right all the time. As with every list, there are some things I could disagree with. I have an almost visceral reaction against the PGA Centenary course and I just can’t see how this Nicklaus abomination can make it to position 43. However, I think they have made a good call not putting the Renaissance too high (31 feels about right). I was expecting The Machrie to chart a little higher than 29 but that’s only on the basis of what I have read elsewhere. I need a visit to decide for myself. Try and get the your hands on a copy of the magazine. I managed to get my hands on a print copy of the magazine supplement and it is really great. The course write-ups are nice but the accompanying articles are where the real fun lies. A lot of thought has been put into the publication with some great articles by thoughtful writers. Ed Hodge’s history lesson on the 9 hole courses of Scotland was a particular delight and Mike Keiser gives us an insight into why he wants to develop Coul Links. I would urge you to get your hands on one if you can and hopefully they will make it available digitally - it’s a great loss otherwise. If you’re planning a trip - go deep! This list really comes into its own if you are planning a trip to Scotland and don’t just want to ram your schedule with the Open venues and glamour names. Use the map below to come up with an itinerary that will surprise and delight your party and pretend you have all the local knowledge! I’m delighted to share Graylyn Loomis’ favourite courses. Over the last few years I have used Graylyn’s site extensively to help plan golf itineraries and it is a constant source of inspiration for trips. Graylyn has played many of the world’s very best courses and has a great eye for what makes a course special. I took “favorite” to mean the courses that I most often think about and those that have shaped my love for the game the most. I’ve been fortunate to play many of the “best” courses according to rankings, but these are my favorites. The order is chronological based on when I played them first (from earliest to most recent), which may show the progression of my game and tastes (or nothing at all!). This 1922 Donald Ross design is where I learned to play golf with my father. The hilly course in Asheville, North Carolina taught me all aspects of the game and fostered my love for it. Another Donald Ross design in North Carolina, Mid Pines is an intimate course in Pinehurst that embodies my favorite aspects of course design. The routing brilliantly maximizes the land and footprint of the course. Even after hundreds of rounds on the Old Course during my four years at the University of St Andrews I still learn something new every time I play it. The Old taught me subtlety and nuance in design. A light bulb went off in my head after playing North Berwick. The course is quirky - and sometimes confusing - and at every turn it reminds you golf is meant to be fun. If I could ever live on a course and walk a few holes every evening, Elie would be my choice. The short links course has charm, jaw-dropping views, history, tradition, and more (not to mention the submarine periscope to check that the first fairway is clear). As with so many other Scottish courses, Cruden Bay could never be built today. It has blind shots, quirky features, and some of the most creative and beautiful stretches of golf that I’ve seen. It’s another that reminds you that golf is a game and we should all take it a little less seriously. There are many great historic clubs in the northeast U.S., but Shinnecock is the ultimate. The clubhouse is one of the most iconic and the course perfectly balances major championship-level challenge while still being fun to play. It may be blasphemy, but I think Australian Sandbelt golf combines the best of Scotland with the best of the U.S. to make the best golf in the world. Any of Melbourne’s Sandbelt courses could have filled this spot, but Kingston Heath ticks every box for me from the club’s vibes to the course. If England has an equivalent of North Berwick or Cruden Bay, it’s St. Enodoc. The course plays along cliffs in rural southwest England complete with stone walls, buried churches (literally), and design elements you’ll never forget. I’ve only played Cal Club once, but it has everything I would ever want in a private club. The course shows off tremendous work by Alister MacKenzie and Robert Hunter (and Kyle Phillips in a recent renovation) everywhere, but especially around the greens. If golf course architecture is your bag then Derek Duncan’s ‘Feed the Ball’ podcast is a must-listen. In just eighteen months Derek has established himself as one of the very best interviewers on the topic in the world. His style is warm and engaging, but anodyne he is not. He will happily voice his opinion and has the confidence to challenge the views and work of some of the biggest names in the business. The quality of the guests on Derek’s show is incredible and you will enjoy the conversation with a shaper you have never heard of just as much as one with a big-hitter like Bill Coore or David McLay Kidd. If you are new to Feed the Ball then I would encourage you to listen to this 2018 highlights package to give you a taste of its brilliance. It won’t surprise anyone that Derek has come up with something a little different for his list and it serve as a reminder that golf courses don’t need to be high-end and private for you to to have a blast. Enjoy! This could easily be another compilation of star-studded, bright light, world top 50 courses. I’m going a different direction with a list of some of my favorite (mostly) affordable, public-play courses (and anyway, you can read about all those great courses on the other people’s lists). Public golf remains the heart of the game and there’s always a need to draw special attention to courses that are not just accessible, walkable and economical but also possess that rarest of things: smart, exciting architecture. These aren’t all 100 point, or even 90 point courses, but they are places that have made an impression on me as being authentic expressions of their location and models of what good public-access golf can and should be. Each is unique in its way and worthy of a round should your path happen to take you nearby. Chattanooga, Tennessee – Right off the bat we’re in murky water because Black Creek is a private club. They have been known, however, to be receptive to outside play if approached nicely. Working a good site in a lovely valley, Brian Silva reproduced sharp interpretations of Seth Raynor’s template holes, plus a few originals of his own. Most golfers will never get to Shoreacres or Fishers Island, but at Black Creek they can get the full Raynor treatment, including a reverse Redan, a Biarritz, a Cape and one of the game’s great Punchbowl greens. Deltona, Florida – Bobby Weed mainlined an old lifeless course with a dazzling cocktail of visual drama and strategic intrigue by ripping out acres of coarse border rough to expose evocative play-it-as-you-find-it barrens. The property possesses gorgeous running elevations, deep sandy soils, and superb ground contour accented by big greens that bleed off at the edges. Most impressive to public consideration, the remodel work was cost effective as the sand washes demand fewer inputs and maintenance. Estes Park, Colorado – Sitting at the gateway to Rocky Mountain National Park, Estes is simple, old-style mountain golf and a wonderful walk through the thin, pine-scented air, far removed from the multi-million dollar “lodges” and international hotel conglomerates found at higher-up elevations. The holes run back and forth across a tilting property with a stimulating run of short par-4s on the second nine that have long players licking their chops, and then licking their wounds when they walk off with 4s and 5s instead of 3s. When I think of rustic, unrushed public golf, I think of Estes Park. Canon City, Colorado – Jim Engh says he wants his designs to give players an endorphin rush. Four Mile Ranch provides a true Rocky Mountain high with climbs up into high desert foothills, opportunities to blast heroic shots over native outcroppings and no formalized bunkering. Perhaps the most underrated volume in the Engh library, this course has everything that’s good: affordability, excessive width, fast running fairways, peek-a-boo greens and topsy-turvy putting contours that feed the ball to the hole if approached with proper imagination. Ireland – I dream about golf courses located in the middle of towns, where golfers walk with clubs on their shoulder and, after the round, deposit them in a corner of a pub while they sip on a pint. Lahinch is this place. There’s no separation between town and fairways and the golf is one of the game’s most joyous romps. 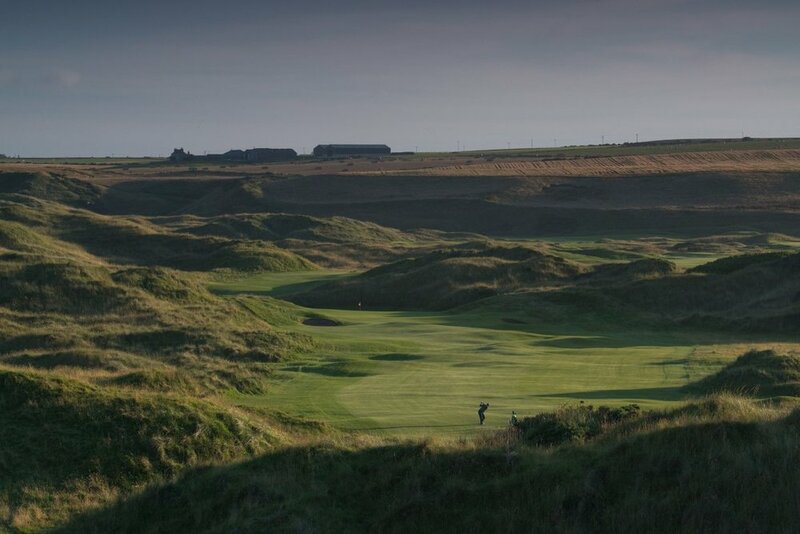 The holes bounce and bob up into the tall, rollicking dunes overlooking the sea before returning to a soft landing at the flatter 17th and 18th holes. Now, about that pint. Green Lake, Wisconsin – The Links Course at Lawsonia is no longer a secret. It is, however, the reigning champion in the awesome, unbelievable, this-is-as-good-as-exclusive-Golden Age-private club-golf-but-at-an-affordable-public-rate division. The 1920’s Langford & Moreau design feels just right roaming around a roomy, mostly treeless site with unique vertical shaping and steep, serious hazards. It’s at once simple and complex, thematic and enigmatic, and worthy of the status of a “must play” in the travels of any serious golfer. 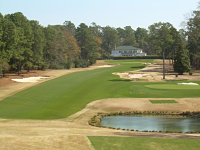 Southern Pines, North Carolina – I’d love to put Southern Pines into this spot, that raw but nifty little Donald Ross public course a few miles down the road, but Mid Pines is just too good. It stretches the budget more than the others on the list but Ross’s original design and Kyle Franz’s recent restoration work make it more than worthwhile. This is Ross at the height of his powers, the masterful routing and genius green placements serving as sensuous yin to the muscular yang of nearby (and much pricier) Pinehurst No. 2 (…and go ahead and hit Southern Pines while you’re in the neighborhood). Asheboro, North Carolina – Tobacco Road is Mike Strantz’s masterpiece but there’s something almost nobler about the strange, woodsy, “we somehow got this done” aura of Tot Hill Farm. Littered with rocks and boulders and ambitious up and down character, the course is a little troubled and almost doesn’t fit, but the golf is packed with all the Strantzian curlicues that you make the drive for (the par-3 13th!!!). It’s almost unfair how much excitement and bewilderment is packed into forty bucks and 6,500 yards, but how often does public golf give you a good chuckle like this? Gothenburg, Nebraska – Located amid the farmlands and forever horizons of central Nebraska, Wild Horse is the apotheosis of Plains golf. Hand built by Dave Axland and Dan Proctor, the design cuts through the native prairie grasses, hugging the rolling, sandy terrain with exceptionally broad, slick fairways that accommodate a variety of angles and the frequently vicious winds. The game escalates as the round deepens, with an extraordinary run of second nine holes that feature some of the most profound strategic bunkering found on any American public course. Winter Park, Florida – It’s no small irony that the course that arguably shares the most in common with Lahinch’s town/golf symbiosis is a flat, nine-hole muni in Orlando. Winter Park’s holes roam without boundaries through a sleepy, tree-lined neighborhood like a pack of boys on bikes, crossing brick-paved streets, skirting a cemetery and nestling close to span of train tracks. The tight turf, rippled fairways and heavily contoured greens actually are reminiscent of links play, but the real charm here comes from the feeling of being at home in a place the oozes pure golf, even if you live 500 miles away. Next up we have blogger, podacast host and journalist Graylyn Loomis with his 10 Favourite Courses. When I was a young lad my Dad had a week every year schmoozing clients at The Open. He and his colleagues would hire a house and I would tag along and sleep on a mattress on the floor for the week. I’d be dropped off at the gates at 7am every morning and meet my Dad again as the last players were coming off the 18th green, late into the evening. It was heaven. The 1989 Open at Troon is one of those Opens that particularly sticks in my mind. The weather was great all week, and Sunday afternoon brought us a classic finish. I walked all 18 holes with Norman as he roared through the field, before racing back to watch those who had started the day in the lead come in. Grady and Calcavecchia matched Norman and we were treated to the first four hole playoff in major history. While Norman found sand and OB, Calcavecchia held his nerve at 18 and won by 3 shots. The sight of him on the 18th green in his red top is one of my abiding memories of those early Opens. I’ve been up in the loft to dig out the photos I took with my trusty disk camera that week - no instagram-type vintage filters needed here. I got a good spot at the 18th! Mark went on to multiple wins on the PGA Tour, before finding success on the Champion’s Tour. He still comes back to play in The Open Championship and is definitely a much loved American visitor to these shores. Thanks a lot for the picks Mark. Loved every hole. Cheap to build. Just perfect. Loved it at first sight, I knew I was gonna play well there. Except when the US Open is there. Short but insanely hard. Strategy is at a maximum. It’s home. Always loved it. Best bunkering in the US. Every hole is great. Thought it was just great. Amazing holes and beautiful. Pebble is Pebble. Never played a course that changes as much as that one. A huge thanks to Mark for his choices. Next up is Derek Duncan, host of the amazing ‘Feed the Ball’ podcast. There are a few golf journalists whose articles I immediately click on when I see them pop up on my Twitter timeline and Eamon Lynch is most definitely one of them. His writing has an elegance which is rare to find, no doubt his background writing for publications such as Vanity Fair have helped him stand out from the crowd. If you are looking for a piece by way of introduction to Lynch’s writing then this one, on playing a round with Donald Trump, will do the trick. You will find his regular golf columns at Golf Week and eamonlynch.com and he is a great Twitter follow @eamonlynch. Eamon has played some fantastic courses around the world as the list below testifies and has a keen understanding for their place in the game. He also seems to like the same courses I do! Those on his list I have played are among my favourites, and those I haven’t are high up on my bucket list! To those who get it, no explanation is necessary. To those who don’t, no explanation is possible. It’s a reminder of what golf should be: sometimes quirky, occasionally maddening, always fun. The last six holes alone might be the most beguiling loop on the planet. The gene from which every great American course is descended. Relentlessly demanding, as much on the mind as on the swing. I stood in the locker room looking at a routing map and wondering why the course was laid out away from the lake shore. It quickly became clear that Raynor didn’t need the waterfront. Despite flattish land it has tremendous variety and terrific green complexes. Beautifully artful bunkering and the rare inland course that plays like a links. The 15th gets my vote as the prettiest little hole in the world. I think of it as a thoroughly modern, American version of North Berwick. Flush with stuff you just won’t see anywhere else. Probably the most polarizing course in the country. The most challenging routing Coore & Crenshaw ever authored, on terrain that is even less hospitable than Kapalua. Wide, rumpled, quirky in places, compromised in others, it’s just a fun round. If only the government would stop screwing with it. The clifftop holes get all the love, but the inland tests are every bit as good. The 2nd is an all-world short four. If there’s a better routing in golf I haven’t seen it. My favorite destination to play west of St. Andrews, and Tom Doak’s design is the standout in an incredibly strong lineup. It’s short and has only one par 5 (at the 17th), but it remains one of golf’s most charming walks. The rapid construction of homes and a hotel has robbed Diamante of the remote charm it had in the early years of my visits, but there are a bunch of hugely entertaining holes. He who complains about blind shots has no imagination. RCD exposes such a fool and saves us having to spend time in their company to realize that. Many thanks to Eamon for his picks. Next up is Mark Calcavecchia. Without giving away too much, Royal Troon may feature! It was through the power of Twitter that I became aware of Tony Dear and his work, and I can safely say my golfing knowledge has been improved as a result of making his golfing acquaintance. Tony was formerly a senior editor at Today’s Golfer magazine and has had his work published in over 40 publications across the world. I recently discovered his book ‘The History of Golf in 50 holes’ which is a fascinating look at how golf and golf course architecture has evolved. It is acutely observed and has real humour. I thoroughly recommend it! If you aren’t already following Tony on Twitter (@tonyjdear) I would urge you to do so. It's so easy to overthink this. You feel dirty for leaving out certain courses, obligated to get a good geographical spread, and compelled to have an appropriate breakdown of types - links, heathland, parkland, etc. You think about places you believe 'deserve' a mention for whatever reason, and even those you think people expect you to include. And do you owe anyone a favour, or feel the need to be different, quirky, edgy? Nah, screw that. These are the ten courses I enjoy(ed) playing the most and which I most want to play tomorrow. Any course where you play a number of memorable rounds with your dad is going to be special. Combine those moments with amazing views of the Cornish coast, and ground that never fails to amuse and entertain and you have an unbeatable recipe. The sun always shines on St. Enodoc. I’d never say I preferred the Eden over the Old, or the New for that matter, but it was the first course I played in town and my first trip round a proper links. I loved it from first to last and sincerely hope to return some day. If ten golfers were asked to name their favourite hole at Waterville, you might get ten different answers. Late summer evenings here are surely a fair approximation of heaven. It’s a cold, jaded, myopic man that isn’t utterly charmed by Victoria. Just a delightful place to play golf. David McLay Kidd’s central Washington masterpiece is extra special for me because the name was actually my idea, and I got to play it with David, his wife Tara, and perhaps my favourite golf writer – Ron Whitten - on opening day. It’s one of those courses, like Waterville, with numerous candidates for ‘favourite hole’. I could never play Gamble too often. Twenty years ago, Pulborough’s head professional gave me, my two fellow assistants, and our boss permission to play a fourball. We knew the club was strictly foursomes, but because our boss was one of the most highly-respected PGA pros in Sussex and we’d been given permission by the club’s pro, we assumed we’d be okay. We were halfway down the 1st fairway when the club secretary came thundering out of the clubhouse and, purple-faced, demanded to know what the ‘bloody hell we thought we were doing’. We swiftly picked up two balls and carried on. I understand the club is a lot friendlier and more welcoming these days, but West Sussex would still be one of the most enjoyable rounds in the world if a fuming secretary approached you on every hole. Heathland magic. Hard to imagine a more enjoyable course. If only every town had something like Bandon Preserve. The world would be a much happier place. Prestwick makes no sense. It's just a sublime stretch of golf chaos. I played 36 or 54 holes a day here for a week with a couple of mates in about 1990, and never stopped laughing. I’ve not seen DJ Russell’s changes, but back then it was just hilarious. So many blind holes and crazy shots. I loved every second. As a member of the Liverpool University golf team in the early ‘90s, Hoylake was my home course for a while. I’d take the train out to the Wirral most days, and get back to Lime St. late. It's not the most eye-catching links in the British Isles, but it is full of sturdy, exacting holes that grow on you on after a few rounds. I always look forward to going back. A big thanks to Tony for sharing these. Next up, the choices of one of the very best golf journalists in the game today, Eamon Lynch. I’m delighted that following on from my series last year on ‘favourite golf courses’ I am able to share the choices of some more of the most interesting thinkers in golf. First up is Tom Coyne. Tom has written two of the most celebrated golf books of recent years in ‘A Course Called Ireland’ and ‘A Course Called Scotland’. These books go far beyond mere golfing travelogues and get to the heart of the part golf can play in your outlook on life. If you haven’t read them yet I would definitely encourage you to do so. Tom also writes for various golf publications - his articles in The Golfer’s Journal are a particular delight. Many thanks to Tom for his thoughts. Scotland and Ireland dominate, but one famed American course makes its first appearance in a ‘favourite courses’ list! You can see all of the previous ‘Favourite Courses’ selections here. Some courses just hit you right in the gut, as soon as you step on the property. Carne does that for me every time. Whether it's the people, the hulking dunes, its remote setting, the genius Eddie Hackett design, it's a place I could go round and round and round. Some courses just feel like home, and Carne is like that for me. Some folks could leave Askernish wondering why they travelled so far to play such an unadorned golf course, and I get that. But Tom Morris's lost course, to me, is a genuinely spiritual experience. It's a time capsule, a trip back in history. It's for the soul-seekers, but if you happen to be one, you won't find another place like it in golf. Cruden Bay is total golf joy to me. Maybe the biggest dunes in Scotland, quirky routing, great people. If you don't care for blind shots, it's probably not the course for you. But I've played a lot of links golf, and the courses can tend to look the same. Not Cruden Bay. It's wild, weird, and gorgeous. I don't think I get a better welcome anywhere in golf than I do at Ardglass, where the members have become dear friends over the years, so the hospitality certainly has something to do with my opinion here. But the course is a blast as well, with holes hanging off the cliffs and over the ocean. And with a 14th century castle for a clubhouse, what is not to love? Maybe the perfect golf course - not for its layout, necessarily, but for its number of holes. A dozen feels like the ideal number of holes for a round of golf, and at Shiskine they are twelve stunners played over and around inexplicable rock formations. The first course I played in Ireland, and the place where my links love affair began. So there's plenty of nostalgia in this pick, but I also add it here for having the largest dunes in Ireland - or anywhere, perhaps - that you roll through via Eddie Hackett's inspired routing. I love everything Mr. Hackett did, because he did it without moving earth, and he worked for pennies so that the local communities might prosper via golf. And Enniscrone is among his finest work for sure. I've heard some call Augusta overrated in terms of its design, saying it gets too much credit because of the Masters. Maybe so, but I don't always judge a course by its design metrics; I judge it by the quality of the day I spent there. And the day I was fortunate to spend at Augusta was an all-timer. I love nine-holers with character, and Donegal's Cruit Island easily sets the mark for me; its sixth over cliffs and beach and crashing waves might be the best par-3 I've ever played, and the other holes hug the rocks and water as you smile your way along the quick routing. I love a course that surprises, and stumbling upon Cruit Island in yonder Donegal was the surprise of my golfing life. My first time around North Berwick, all I saw was rain blended with my tears. But I have been back a few times since, and I've learned what all the fuss is about - and I can't agree more. Beyond its architectural significance, the holes at NB are just a pure blast to play. If you don't walk off with a big grin on your face, than you need to get your face fixed. Maybe its a little flat. Maybe some of the holes are tough to remember on your first go around. Maybe you have to know its history to understand what makes it so great. But no matter - no day in golf feels more special than a day on the Old in St. Andrews. From first tee to final putt, it’s goosebumps all the way around. A big thanks to Tom for sharing these. Next up will be journalist, author and golf course history aficionado, Tony Dear. Will Rolex woes hasten a World Golf Tour? Many have called the Keith Pelley era at the helm of the European Tour a success. A recent poll of tour players saw most of those polled grade the job he’s done as 7/10 or better and Pelley points to the increase in playing opportunities for the Tour’s members as a key metric of his success. However, it’s not all plain sailing. With characteristic candour, Rory McIlroy has said that the European Tour is just a stepping stone to the US PGA Tour and has dialled back his European outings this year. On top of that, Pelley’s jewel in the crown, The Rolex Series, appears to be floundering. The Rolex Series was introduced with much hoopla in 2017. It was designed to create a top tier of events in Europe that would help fend off competing demands from the PGA Tour and deliver strong fields to capture the viewers’ imaginations. So, two years in – how’s it doing? Well, not brilliantly if truth be told. This week’s Abu Dhabi Championship has the weakest field it has seen for the last 6 years. This comes, perversely, at a time when the prize money has doubled and the event is upgraded to Rolex Series status. Only 3 of the top 10 European players in the world have entered this week. Millions will no doubt have been paid to Koepka and Johnson to make the trip across the Atlantic - apparently an understandable source of McIlroy’s ire. But this propping up of the field only serves to highlight the problem. Abu Dhabi is not alone. I have plotted a chart to illustrate the point. This shows in any given Rolex event since inception how many of the Top 10 ranked European players at that time played in it. The trend is alarming. Last year saw only 2 players ranked in the top 10 European players at the time appearing in each of the Irish, Scottish and Turkish Opens and the Nedbank Challenge. The Italian Open was boosted to Rolex Series status as part of the deal that sees the 2022 Ryder Cup heading to Rome, but only four top 10 players made the trip. Also, ask yourself what does the ‘Rolex Series’ actually mean? Is it Europe’s Fedex Cup? (Answer, no). Is there a separate order of merit for Rolex Series events with a bonus? (Answer, I don’t think so – not sure really). I suspect it means virtually nothing to any casual follower of European golf. Is this what Rolex were bargaining for when they signed up to their multi-year deal? Much has been said about how the changes to the US PGA Tour schedule this year may help strengthen the European Tour. I’m not so sure. The Desert Swing has clearly found it difficult to get many of the US based Europeans over to play. None of McIlroy, Molinari, Rahm, Rose or Casey are teeing it up in Abu Dhabi or Dubai – only the second time that has been the case since 2004. While the event in Saudi Arabia has bought a strong field from the US (Johnson, Koepka, Reed, deChambeau et al will be pocketing ludicrous sums to turn up in this state-funded PR exercise) this will surely create such controversy that some European Tour sponsors will question the judgement of Pelley dragging the Tour through such a gratuitous act of sportswashing. There are a couple of events here that will be interesting – the Vic Open will run men’s and women’s events on the same course at the same time and Tommy Fleetwood is hosting the British Masters at Hillside. The latter is the week before the US PGA though which will impact who we see turn up on England’s Golf Coast. Beyond that these are low level events which will attract few viewers on the TV, and often, on the course. We then have a couple of great weeks before The Open at the magnificent Royal Portrush. The Irish Open will showcase the wonderful Lahinch the week before the Scottish. Even then, I think the Tour’s decision to move the Scottish event to the relatively unknown Renaissance is a bit of a gamble. I’ll take any excuse to post a picture of the wonderful Lahinch! Both of these are Rolex Series events, but the Irish Open really struggled to put together a good field last year and host Paul McGinley must be worried about rumours that Rory McIlroy may not make the trip to Ireland in July. McIlroy was in East Lothian at the end of last year and visited the Renaissance Course, he has already said that he will only play one of these events. While the European stars stayed away from the Scottish Open at Gullane, the event normally gets a strong list of Americans warming up pre-Open at least. After that, the attention turns back to the US for the lucrative climax to the Fedex Cup before the European Tour packs in a strong finish to the season. It kicks off in the third week of September with the PGA at Wentworth followed by, among others, the Dunhill Links, Italian Open, Turkish Open, Nedbank and the season-ending event at Dubai. I am sure that we will see some stronger fields in these events but my worry is that it is all a little ‘after the Lord Mayor’s show’. For anyone but the hard-core European fan the interesting bit of the golf season takes place over the Majors, with the Ryder Cup extending it by a month every other year. There is a real risk that these Autumn events will be seen as just a prolonged wheelbarrow season. Beyond the BMW the top players may just pick and choose which events to play based on the scale of the appearance fees on offer. Justin Rose didn’t turn up to the Tour Final at Dubai in 2018, despite being third in the Race to Dubai rankings at the time, but managed to get on the plane to Indonesia a couple of weeks later. Go figure. Rather than strengthening the European Tour, there is a real risk that these changes will diminish it further. McIlroy’s words in Hawaii on the subject must be chilling for the European Tour. He said ‘The European Tour is a stepping stone. That is the truth. It’s so one-sided. You can talk about all these bigger events in Europe but you can go to America and play for more money and more world ranking points. Why would you play over there?’. In the anonymous survey of European players 70% of of them said they would play the PGA Tour if they could only play one of them. One player said that 99% of players should be aiming to play there. Keith Pelley said to The Times before Christmas that he was in talks with Jay Monahan, head of the PGA Tour, about the creation of a World Tour. That may be the inevitable place we end up. For those who are worried that the creation of a World Tour would lead to the European Tour just being a feeder tour for the PGA Tour it’s too late, that’s happened already. The European Tour could still exist in much the way it does today for the vast majority of players but serve as a formal feeder tour to the ‘World Tour’. Its members could have first dibs on spots at those events where World Tour members don’t want to play. Likewise, the smaller events on the PGA Tour could become a feeder with an amped up Web.com Tour in the States. This may be some way off though as the PGA Tour have longstanding contracts with sponsors, including Fedex, through to 2027. However, where there’s a will, there’s normally a way and the PGA Tour would love to be the custodians of a World Tour. Whether Pelley will be around to see it though is debatable. There is a natural successor in place in the shape of ex-IMG man Guy Kinnings. The way things seem to be going, Pelley may protect his legacy best by getting out before the music stops. The Golf Monthly UK & Ireland top 100 - The Good, the Bad and the Maybe! The more great golf courses I play, the more I realise the inherent challenge, and potential folly, in trying to rank courses. I think that the approach made famous by Tom Doak (a variation of which I use on this site) of grouping them into categories can work. However, it is only ever going to be a debate starter, not a debate ender. In the last few weeks there have been 3 new Top 100s of note published. Golf Monthly has released its UK and Ireland Top 100 for 2019/20, National Club Golfer launched its inaugural Scottish Top 100 and Irish Golfer Magazine gave us their top Irish Courses for 2019. I’ll kick off today with some thoughts about the Golf Monthly list and follow up with the NCG Scottish Top 100 in the next couple of days. The biannual Golf Monthly list is made up according to raters’ scores over a range of attributes. Quality of test and design is worth 35% of the overall score, presentation and conditioning 30%, visual appeal 15%, club facilities 10% and overall visitor experience 10%. This definitely skews the list towards well presented, visitor-friendly courses rather than producing a more architecturally-based list. The 2017/18 incarnation of the list was the first to exclude truly private courses - if you can only play it with a member then the course isn’t included. This means that the likes of Loch Lomond, Wentworth and Queenwood are all knocked out. They also appear to have overlooked Tom Doak’s Renaissance Course even though there you can take advantage of a one-off ‘experience’ and Skibo Castle which is available for very limited green fee play now. I think this undermines the list a little. It should either be re-titled ‘The UK and Ireland Top 100 courses you can play’ or they should include all the courses. Otherwise, the ranking simply doesn’t do what it says it does. Turnberry has held on to the number 1 slot it took last time. Given the factors they take into account that probably isn’t a massive surprise. It is spectacular, immaculate and has great facilities. While there was plenty of love for Turnberry, when I asked the question of my Twitter followers Royal County Down was the clear favourite among the 200+ who voted. RCD is down 1 place to position 4 in the Golf Monthly list. Personally, I still think this is too high. I didn’t visit it in the best circumstances (I was young and my hangover was horrendous) but the number of blind shots and punishment for going off line was just too much for me. Maybe I need a return visit?! If you want to see the problem that the Golf Monthly rating system can have, then look no further than the ranking of the well-conditioned, spectacularly set, US-visitor-friendly, Old Head. Personally, I struggle with it even having a place in the top 100 because of the quality of the layout. I have played four of those courses and three of them would probably make my personal favourite top 10. Lahinch is ranked 29th in the World in my ‘Ultimate Top 10’ and yet much lower in the Golf Monthly list which is just for the UK & Ireland. The latest Irish Golf Magazine rating has it as number 3 in the country and I think that is utterly justified. The course is a sheer delight and a joy to experience. Maybe the exposure (and, no doubt, the love) it will get when the Irish Open is there later this year will give it a boost but it really shouldn’t take that. I have a massive gap in my Scottish CV having not played Cruden Bay, but Golf Monthly seems to be way out of step with the rest of the golfing world with their ranking. It is ranked similarly in Golf Monthly (71) to its ranking in my Ultimate World Top 10 (75). I need to get there to make up my own mind. Probably the biggest surprise for most people I have spoken to on the subject has been the inclusion of Adare Manor. This redesign of this Irish course by Tom Fazio has debuted as the 25th best golf course in the UK and Ireland. That is an amazing ranking and by that reckoning it would probably make it a world top 100 course now. Very few inland courses in the UK have achieved that status - and none that have been created in the last 100 years. Without a doubt the press from those who have played it has been great - it is said already to be ‘Ryder Cup ready’ with conditioning second to none on these shores - but can it really justify such a lofty position? Well, the Irish Golfer magazine has just placed it in position 3 in Ireland (above Royal County Down!) so maybe there’s something in it. The marketing impact of such a ranking has definitely paid off as I’m taking Mrs UKGolfGuy to experience the hotel for our wedding anniversary next year - she can hardly wait! However, this list also corrects some things that I think were a little out of sync in the last outing. 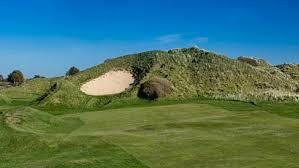 Ballybunion has moved down 7 places to 22 (it started in 6th place in 2009) and for me it may have some way to go yet. I simply found parts of it too much of a slog to enjoy. Maybe Martin Ebert’s work, discussed in Golf Monthly, will help in that respect. I’ve not heard of a golfer yet who doesn’t love Castle Stuart and it continues its ascent up the rankings, to number 19. Another consistent riser has been Royal Dornoch. When the list debuted in 2009 it came in at number 19, but 7th feels a much better position. These are all sensible moves. I still think that placing Sunningdale New above the Old is a little quirky but they both deserve to be ranked as highly as they are. I should also say the the quality of research in Golf Monthly’s list and the accompanying comments are first class. It’s easy to throw rocks at a ranking list but in this list you can read a good summary of the course (although maybe a little more critique would be welcome in places) as well as comments on what has changed since the last edition and what changes are to come. I think the list could still be improved significantly by including all UK and Irish courses again and giving greater weighting to the course architecture. That said, having played Turnberry this summer, I can see that it does have a good claim to be the best of the lot. I just hope they sort out the Old Head versus Lahinch issue next time!! I received a lovely email today from someone who had recently discovered the website and he suggested I write something about my future golf plans. As 2019 is shaping up to be a pretty exciting year in my golfing life I’m delighted to do just that. I also thought I would take the opportunity to look back at some of my 2018 highlights. So, thanks Bill for the email and here goes! My trip to the Netherlands back in May was a real highlight of the year. The people were lovely, the courses magnificent and the travelling time between venues made for a very easy trip. The courses were great value too. Utrecht is a world top 100 course for me. The sight of Utrecht in the late afternoon sun will live with me for a long time. Turnberry has vaulted up several top 100 lists to become the number 1 in both Scotland and the UK. I played it for the first time since the changes this year and thought it was phenomenal. However, off the course it is hard to get away from the spectre of Trump and all that that brings. Rounds at St Andrews in March and Muirfield in December reminded me just how wonderful the top Scottish courses are. Neither of those may have the sheer spectacle of Turnberry but, as far as I’m concerned, they haven’t abdicated their top slots completely. 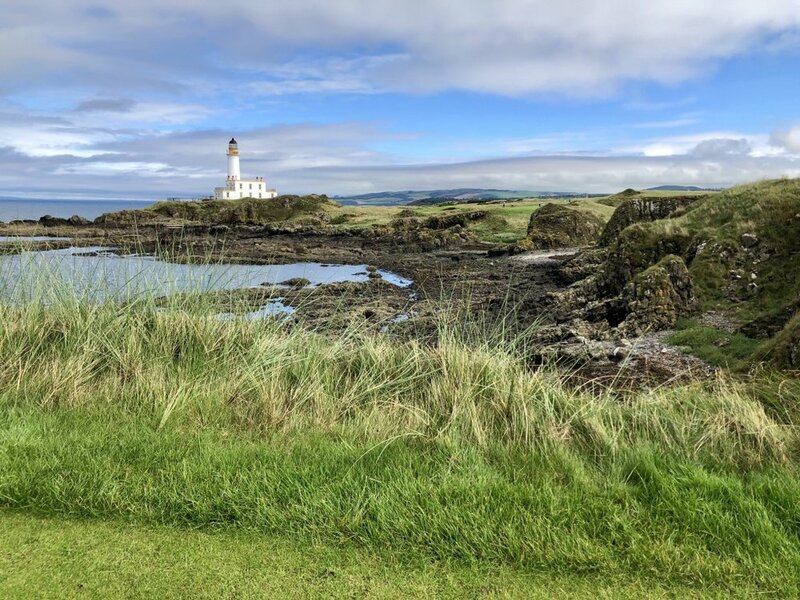 The work around the lighthouse at Turnberry makes for some of the most spectacular golf in the world. A day trip from London will bring golfing wonders! Sunningdale is a must play if you’re in the London area. There have been several ways that I have been grateful to the golfing community in 2018. Following on from my Swinley experience I reached out to a few of the golfing personalities I admire to share their favourite golf courses and was amazed at how generous they were with their time and insights. I will gather them in one place soon but for now just click on their names to read the top tens from Messrs Clayton, Shackelford, Doak, Goss, Gallant, Solomon, Shipnuck, Blair, Mclay Kidd, Herman and Oliver. Many readers have written to me over the year with kind words of encouragement, offers to host me for a game and sharing thoughts for blogs and trips and I’m grateful to all of them. I’m looking forward to taking a few of you up on your offers in 2019! I won’t pretend that my handicap has tumbled but I think I may be enjoying my golf more than ever. I have struggled off the tee for a long time and that seems to have been sorted out (for the time being). A key reason for that must be the Ping G400 Max I added to my bag a few months ago. It is definitely the most forgiving club I’ve ever used from the tee. I’ve also decided to give up trying to use on-course technology to track my rounds for stats purposes. Arccos, Gamegolf and Shotscope have all come and gone but were proving too distracting on the golf course. Going forward I’m turning to good old paper and pen with Golfshake so hopefully that’s one less thing to think about on the course. It’s not been a bad year for me course-wise, although there are still plenty left to go after! This year I played - Archerfield Fidra and Dirleton (home courses), Trump Dubai, Saadiyat Golf Course, Yas Links (academy course at night), Streamsong Blue, The Old Course, North Berwick, Maison Blanche, Utrecht de Pan, Kennemer, Royal Hague, Noordwijske, PGA Catalunya, West Sussex, Swinley Forest, Sunningdale Old. Sunningdale New, Walton Heath, Muirfield. If you’re looking for some winter golf the Saadiyat resort in Abu Dhabi combines a nice course with a great hotel and beach. I’m really looking forward to 2019 for several good reasons! I am making a trip to Melbourne with two good friends to play some of the courses I have spent years reading about. All being well we will make it to Royal Melbourne East and West, Kingston Heath, Metropolitan, St Andrew’s Beach, National, Barnbougle Dunes, Lost Farm, Cape Wickham and Ocean Dunes. The logistics of organising golf in Australia isn’t easy - online booking isn’t an innovation they have widely embraced and visiting windows are narrow - but a big thanks to everyone who has offered advice and help. I can’t wait to fight the jet lag on the first tee of Cape Wickham on March 6th! That will be the main trip of the year but I’ve also got a German jaunt in the works (I really want to see Falkenstein but any other recommendations gratefully received) and need to fill in some other holes in my UK repertoire, including Prestwick which featured in many of the ‘Favourite courses’ lists. I also need to post about some of the areas I have played golf in but which have yet to make it onto this site. South Africa and Spain in particular stand out like sore thumbs but life has proved too busy to get them written up so far. My New Year’s resolution is to correct that in 2019. Finally, a big thanks to my wife, Clare. Not also does she proof-read all of my articles before I post, to help make them vaguely readable, she also lets me indulge my passion for this glorious game - I know I’m a lucky, lucky man! The best food in golf! There is a risk that this blog becomes slightly fixated on ‘top 10’ lists (fear not, I do have a few other ideas up my sleeve!) but I hope you’ll enjoy this - my top 10 meals at a golf club! As someone who spent most of his youth playing at municipal courses around the Edinburgh area, ‘great food at golf courses’ isn’t a subject I was introduced to until much later in life. At Carricknowe we’d go through the fence at the back of the third to buy a Wham bar and Irn Bru, and still get change from 30p. But over the last few years I’ve been lucky enough to play golf in some wonderful places, and I’ve found that I have been able to combine two of my real passions - great food and great golf - in one visit. If you’re interested in more than just the food, click on the course name to read my course review. Troon probably wins the award for the restaurant with the closest proximity to the 18th green and has floor to ceiling windows overlooking the putting surface. However, it was the haggis panini that elevated this Open rota course to one of the greats for me. Everything a haggis-based breaded snack should be. The Haggis Panini at Royal Troon - served with a light salad, coleslaw and crisps. A triumph! 9. Sage Valley I have written before about what an odd, ritualistic place Sage Valley is. Just a few miles from Augusta, it was built by a billionaire whose application at Augusta National was turned down. Not to be put off he decided to give them a run for their money. They play bagpipes across the estate every evening, the members all wear green jackets - it’s odd in many ways. The food, however, is fantastic. The fried pickles were a great way to start and the grouper sandwich, a triumph. For a little peak into the Sage Valley experience have a look at the membership brochure here. 8. Swinley ForestI hadn’t even been sure if, as a green fee payer, I would get to see the dining room. Opulent it is not. Think shabby chic, going light on the chic. But the breakfast muffin with crab, avacodo and a poached egg, eaten overlooking an empty and inviting course, was heavenly. A real hidden gem. Note the 1st hole stretching behind the salmon, poached egg, avocado and crab breakfast at Swinley Forest. What can I say about the lunch at Muirfield that hasn’t already been said? Not a lot. You sit with strangers, on long tables as if dining at a British public school. Alcohol flows fast and, on the one occasion I didn’t partake of the red wine, I thought I was going to be asked to leave. But the carvery of roast meat from the local butchers (Anderson’s of North Berwick) means it is like Sunday every day here. Half a mark off for using frozen Yorkshire Puddings though. Jack Nicklaus’s long holes that move from left to right, with penalising rough, defeated me - so much so that after 9 holes we stopped for a proper lunch which was, without doubt, the highlight of my visit. The jamon and other tapas was some of the best I have had and the selection of Rioja was worthy of any top restaurant. I have no memories of the back 9. Yas is one of the modern wonders of the golfing world and Hickory’s restaurant is a fitting place to dine at such a venue. The menu may be the most extensive I have ever seen in any golf club, but everything is cooked beautifully. I was going through a low carb phase on one visit, and the range of options was phenomenal. Oh, and they serve cold beer which in Abu Dhabi isn’t always to be taken for granted. If only the views from the restaurant were better, this would be vying for a top 3 place. Oh dear, just including a Trump property in this list is risking opprobrium. But such is the quality of the food at Doonbeg I just can’t ignore it. The bar is a place you want to linger in. It’s not overly brash but very welcoming with a great atmosphere. And the food was fantastic. Locally sourced oysters, steak, cheese were all presented beautifully. And say what you like about the Donald, he makes a great burger. This golf course is rumoured to cost $1,000,000 to join and, for that, members get one of the most spectacular views from a clubhouse anywhere in the world - and not just because you can see NGLA. We watched the sun set, with a bottle of savignon blanc and a Kobe Beef hotdog. Or was it Wagyu? I forget. Either way, the food tasted great and the views will live with me forever. The first time I played at Morfontaine we walked off 18 drenched within an inch of our lives. After a welcome shower we were ushered into the virtually deserted restaurant and revived with one of the very best meals I’ve ever experienced on a golf course. In usual French fashion, the choices were limited, on this occasion the English was non-existent but the quality was immense and the wine historic. On our second trip, the weather was wonderful, so we sat on a busy terrace but the standard of the food was undiminshed. If you get the chance to visit Morfontaine don’t leave without playing the 9 hole Valieres course and having lunch. It would be criminal. Anywhere that serves you a whole lobster an amuse bouche is going to be hard to beat. Strike that, impossible. The lunch at NGLA is unsurpassed for me. Following the lobster, the standard remained high with a wonderful cottage pie and truffled mac and cheese, followed by pancakes, and all washed down with a very well priced bottle of Cloudy Bay. All this in a clubhouse full of history, with a staff who wanted to make sure you had a great time. I’m looking forward to finding out if the sherry in the soup at Pine Valley beats it one day....! David McLay Kidd's Top 10 Courses You've Never Heard Of! Of all the questions we golf course designers are asked by enthusiastic golfers I’m betting the “What’s your Top 10 courses” is the most frequent. I’m guessing the list every golf architect gives added together wouldn’t span more than 30 courses and every one would include Cypress Point, Pine Valley and Royal County Down. I thought maybe I could put a twist on the usual list and see if I could find a Top 10 your readers might not have heard of... yet! 12 holes on the Isle of Arran, between Turnberry and Machrihanish to locate it in golf geography. Quirky, beautiful, unexpected, great features for any golf course. 18 holes but very short. The imagination of the layout is fantastic, it breaks many of the written rules of golf architecture - blind doglegs, drives over the crest of a hill, square small greens. Once played, never forgotten. The heathland courses of Surrey, like Sunningdale and Swinley Forest, are not the only heathland courses in the South of England. Aldeburgh Golf Course lies along the Alde River in Suffolk. It is raw, natural, strikingly beautiful and a challenge in the sea breeze. The name says it all. Lying in a tight canyon in Southern Canyon this relatively modern course was created on a low budget but high imagination. Superb strategy on every hole, proving that creativity beats budget almost every time. The less well-known sibling of the Kings and Centenary Courses at the famed resort in Perthshire. I played most of my golf on this course as a kid when my father was the Golf Course and Estate Manager. This course more than any other taught me that position and distance control are more important than distance alone. Wine Valley, Walla Walla, Washington. A modern course, framed by the Wine Region of Eastern Washington, it is a challenge to get to (most of my list is) but it’s worth it. Scene of my first hole-in-one, the fastest greens I think I’ve ever played. I’d say this is the first on my list that’s better suited to a lower handicapper, it plays long and demands precision to score. I can’t make a Top 10 list without including one of my own. Not widely known, but critically acclaimed, this course wends its way through over 50 acres of wetlands, creeks and shallows formed by meltwaters coming off the Teton Mountains in Idaho. Every bit as visually striking as Royal Melbourne and, I thought, a better walking course. Victoria lies within the sand belt outside Melbourne and plays firm and fast. Unlike some other classics nearby, the trees have been kept at bay. The biggest dunes I’ve seen on a golf course. A single greenkeeper keeps the greens in great condition and mother nature does the rest. If you want wild terrain, wild weather and a wild time, this is the place. My business is fraught with projects that might have been. In 2012 we got this course half finished before the developer went to prison on fraud charges. Set in virgin dunes that go on for miles and miles south of Setubal this course would be a contender if it could ever find someone willing to finish it. A special guest blog from Tim Gallant. Tim manages to get more golf trips in than pretty much anyone I know. Here he gives some tips on how he manages to negotiate so much time away from his beloved wife. Read and learn!! Golf trips can bring such joy. But careful planning is required! You’re sitting around with your friends after a round at your local course, and soon the discussion turns to golf trips. Before you know it, you’ve hatched a plan for a week-long golf break full of sunshine, banter and maybe even a bucket-list course or two. You select a date, and vow to get down to planning as soon as you’re back home. But at that moment, you suddenly remember one very important barrier: getting permission from your partner! And it’s at this hurdle that many well-laid plans have died like roses without a drink of water in the Sahara; slowly withering away into a feeble non-existence. Lucky for you, we’ve been in this situation more times than we can count, and have a few pieces of advice when trying to get a free pass from your nearest and dearest. Leave the date TBC at the moment (even if you’ve already circled the dates, checked flight prices and searched the local courses). When your partner quite rightly fires back that it is a crazy idea, just say things like ‘Oh, it’s not going to happen tomorrow. We were thinking in a year or two’. This will go a LONG way into getting that trip off the ground, and is step-1 in the process. My friend Coleman likes to say ‘Points expire fast!’. What we mean is the points you build up for being Mother of the Year or Husband of the Month. When you are in the good books, that is the time to circle back to that idea you planted a few months prior. This is when you start the conversation about the nitty-gritty. How long you’ll be away from home, how much it will cost and who’s going. When this situation arises, it’s best to act like the hero. ‘Well, Dave wanted to go for 10 days, but I said that’s crazy. I think we could probably do it in eight days. Maybe seven at a stretch, but I really don’t want to be away from home for more than a week’. You might have had one week in your head all along, but psychologically making your partner think that you have whittled it down will go a long way into getting the thumbs-up. I’ve seen it a thousand times (and done it a few) where you over-reach and end up with nadda. Make sure you are realistic with your ask. If you’re planning a holiday with your family in Melbourne and want to golf - be realistic. You may want to play ten courses in the Sand Belt area, but realistically ask if you can do one or two morning rounds before the kids are awake. This is a bit of YOU time that is well deserved. Just don’t expect 5 x 36 hole days while the family think ‘Why are we even on family holiday together?’. That can get you put in the dog house real quick. Remember, the first trip will lay the foundation for all others. If your budget balloons and you play so much golf that you come back home a zombie, then your partner is less likely to sign-off on the next trip. You want everything to be effortless and for it to seem like you weren’t even gone! To this point, be considerate in the lead-up and aftermath of a golf trip. Remember, you are LUCKY to be having a weekend/week/day golfing, so be sure to help with the things you might not normally do to let your partner know how much you appreciate them. The above should keep most golfers in good steer and remember, batting .500 in this game is great. You may get a few trips knocked back, and that’s ok. Over the course of the years, you’ll still end up seeing some pretty great places. So let’s say your Johnny Appleseed didn’t go according to plan and your partner has effectively nixed your ideas for a golf weekend with your friends. You are still desperate to go, but know only a Hail Mary will likely save your chances of making this a ‘go’ operation. That’s when you reach for The Double-down. For this move, you have to wait until your partner is on the verge of picking a fight with you. Just as things hang on a knife edge, you bring up the golf trip (the worst possible moment, thus doubling down on the amount of heat you’re about to get! ), sending your partner into full fight mode. But you stay calm and don’t lose your cool! After things have blown over, your partner will (hopefully) realise that they overreacted to the mention of the golf trip, when they were really upset about something else. This is where you need to play the victim! Start by saying how you and Dave hadn’t seen each other much the last few years and you thought it might be a nice bonding trip, but apologise for even bringing it up. Don’t even mention the golf. And then, in your partner’s guilt, they will be forced to relent in order to save face. Try not to gloat though - play it cool and wait a bit before booking the trip (like 15 minutes). If your partner says ‘Do whatever you want’, then my friend, accept defeat and pick up another battle down the line. Going on a golf trip when your partner has uttered these words is a death sentence. The next fight you have, you will be blown over by a tornado of accusations that will leave you floored like Ricky Hatton after a fight with Money Mayweather. Trust me, I’ve been there. Good luck and let us know how you get on!! Retiring and spending your time playing some of the best courses in the world sounds like a great idea doesn’t it? Certainly Manish Goel thought so when he decided it was time to end the 9-5 rat-race and spend more time on the golf course. But he found there was one problem with this plan – in the US it’s pretty hard to get access to many of the greatest courses. Manish explains, ‘I immediately went to the "lists", and to my dismay, realized that most of the courses were private and my personal network didn't extend to them. As I dug into the path of playing these clubs I felt that all the options were either unattractive, expensive, or required inordinate effort’. For those of us in the rest of the world this is a problem we rarely face. Of the 43 world's top-100 courses that are in the US, 33 are not open to visitor play. Of the 60 courses in the rest of the world, only 7 are impossible to play without a member. Manish wasn’t to be deterred though, and Thousand Greens was born. The idea is disarmingly simple – create a community of golfers who are members at private clubs and willing to invite others to play with them, offering a way in to clubs that may otherwise be impossible to access. The kernel of the idea came from Manish’s own experience. 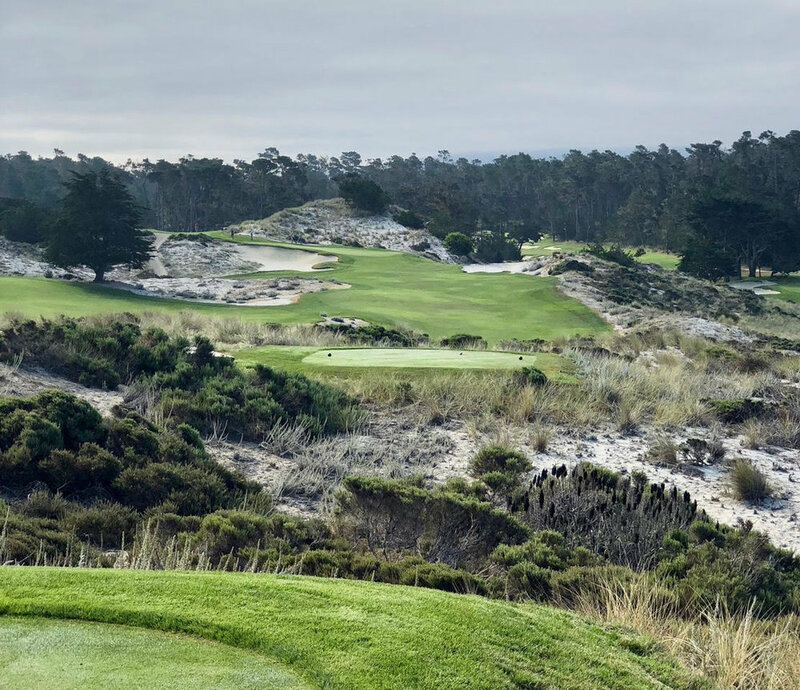 He says, ‘As a member at Monterey Peninsula Country Club I had occasionally hosted referrals through friends or colleagues and had never had a bad experience. Golfers who belong to similar style clubs, and are willing to travel and play with other people, tend to share a certain easy-going nature, and a pleasant personality’. The last few years have shown that people are willing to let strangers into their homes through AirBnB or jump into a strangers' cars with Uber, but would they be willing to have someone join them for a round of golf at their club?! When you register on the site, your club is tiered according to its ranking. You are given three credits when you join and you earn a credit when you host someone and spend one when you are a guest. Ranking the courses is probably the most difficult part of the experience to manage, but it is important. Manish explains, ‘There is the inherent asymmetry of desirability and demand. We needed to ensure that the members from the highly desirable clubs did not get inundated and get scared off'. In order to manage that, the rules state that you can only ask for a game at a course of the same or lower ranking to your own, unless the host has opened invites to all. It seems to be working. About 1 in 3 requests are being matched and 1 or 2 games are taking place every day with new connections being made all the time. The standard of courses on the site is very high, with many of the world’s top 100 courses represented. Remember those 33 courses in the USA you couldn't play unless you were with a member? Well 19 of them have members on the Thousand Greens network. However, it is not just for the uber-high end. Even if you don’t have access, through your status, to one of the very top courses, it's a great way to meet new people when you are travelling anywhere in the world and fancy a game. Even if the course you want to play is one you could play as a visitor, playing with a member brings a new perspective to a course, and normally a cheaper green fee too! I have been a member of Thousand Greens for a few months and have hosted 3 people at my club now. One of the great side benefits is that I now have connections at three great courses - Mid-Ocean, Walton Heath and Woodhall Spa - and look forward to visiting them for a return match at some time. It’s a great way to make new friends and build new golfing relationships. Manish is quite rightly delighted with the progress to date, ‘This has exceeded my wildest expectations. It started as a crazy idea over a glass of wine, and now we have a 1000+ strong community of like-minded golfers who are all exchanging rounds and building friendships.The spirit of camaraderie that exists in this community is such a special vibe. In a zen like way, it makes my world a happier place. I feel fortunate’. It really is a great initiative and I would encourage you to consider signing up at www.thousandgreens.com. Manish may not have got the quiet retirement he was looking for, but the service he is providing to the golfers of the world through Thousand Greens is very welcome! The British Masters has been a great boon for British (well, English) golf – returning to old favourites and helping us discover new courses. This week, the event goes to Walton Heath. Hopefully this will inspire more people to discover the great courses in this region. So often we Brits organise trips to foreign parts, forgetting we have some of the very best courses in the world on our doorstop. I finally put that right last month when I visited Surrey for a few days. The area makes for a great trip. The good news is that you can get access to most of the courses you would want to play on a trip to the Surrey/London area. Wentworth, Queenwood and The Wisley are notable exceptions but, if truth be told, these are not the strongest courses anyway. If you are looking to focus on the highest ranked courses in the world then your picks should be Sunningdale Old (30th in the world), Sunningdale New (46), Swinley Forest (49), St George’s Hill (57), West Sussex (83) and Walton Heath Old (94). However, if you want to venture beyond that list, then you could add Berkshire, Woking, Worplesdon, New Zealand without really dropping the quality much. I have written reviews of the courses I have played in the area, including some things to consider when planning your trip. If you want the full review, click on the link to reveal all. Walton Heath is a name inextricably linked with heathland golf. It was a perfectly pleasant course and, as the round went on, got better and better. But I would struggle to rank it in quite the same league as some of the others we played on the trip. The first few holes didn’t do much for me. The par 3 1st hole may be the least inspiring opener of any top course I have played. Four of the next five were fairly long, tight holes as we headed towards the ever-louder M25. But, from the reachable par 5 8th, it really picked up with some lovely holes coming in. And then it blossomed, bloomed and didn’t fade. The holes got more interesting - a few doglegs, well placed bunkers, more imaginative placing of heather. There was a lovely mix of short par 5s (from the members’ tees at least), strong par 3s and clever par 4s. The course had come into its own and became a real delight to play. I would recommend playing this at the beginning of your trip. We played it last, and while a really good track it didn’t quite hit the (ridiculously high) heights of some of the others we saw. You can play the course all year around, 7 days a week (although understandably there are some times reserved for members). Unlike the other courses, I could only book a tee-time a couple of months out which provided a logistical challenge when planning the trip. West Sussex is about an hour away from the other courses, but well worth the trip. This is real old school. They didn’t particularly want visitors, (you wont be able to tee it up as a fourball) and I have never seen as many naked octagenerians in one room as I did here (and I’ve seen a few)! However, the welcome was warm and the course was lovely. Of the courses we played I would say that this was the tightest, the heather was more in play here than anywhere else on our trip and my score would definitely benefit from a repeat playing. But this is a course you will remember fondly. Tim, the pro of over 30 years, told us that he describes the course as a ‘long short course’ and that made a lot of a sense after we played it. It is a par 68 but even from the yellow tees, at 5,961 yards, it is a real challenge with only 1 par 5 and and some long par 4s. The run of three par 3s in 4 holes on the front 9 is both a novelty and a delight! There is plenty to keep you entertained on the way round - superb bunkering with gorgeous sand to hit out from, and challenging greens with everything from punchbowls to false fronts to take on. So I would really encourage you to make a visit to West Sussex if you’re in the area. Is it really a world top 100 golf course? For some it will be, for some not. But it would be hard for anyone not to enjoy it. Green fees, from £80, are available for 2 or 3 balls, seven days a week throughout the year. Sunningdale – Old and NewWith 2 courses in the world’s top 50 it has been said that Sunningdale has the best 36 holes of golf on one property you will find anywhere. I am delighted to say that those rankings are completely justified. The New Course is the tougher challenge – I would recommend playing it first to give you an easier walk in the afternoon on the Old Course. The New plays through more open moorland than the Old, with some sweeping vistas. Although the course is tough, it is playable from the tee as long as you choose an appropriate set for your ability. There are some carries required, but, from the yellow tees, if you can get the ball out 200 yards, you should be OK. And while there is plenty of heather to gobble up errant shots, it doesn’t come into play on every fairway and sometimes is a good distance back from the fairway line. The front 9 on the New Course is particularly wonderful - the 4th, 5th and 6th a real highlight. The 5th is a great Colt par 3, with carry over heather and a vast bunker to a two-tier green with trouble all around. Some rank the New Course higher than that Old but, for me, the Old Course took things up another notch. The course winds its ways through the trees and we barely saw another soul all the way round - it became an almost spiritual experience. Swinley Forest and Morfontaine would be the only two to give this course a run for its money as my favourite inland course. This is a course you can score on. There are short par 4s and 5s and often there’s no need to take a driver off the tee - finding the fairways with something shorter will probably help you score. The course looked fantastic when we played. The heather eyebrows on the bunkers and the cross-bunkering on several holes were real highlights. The colours of the trees contrasting with the fairway and heather offer a visual feast. There is quite a lot of elevation change, with tees and fairways swooping down towards greens. All round, it’s just a magical place. The green fees here are steep for sure. It’s £350 for 36 holes in the summer and access is only on selected weekdays, but you will never forget playing here. From the breakfast in the Critchley room to the sausage roll at the halfway house, the memories keep coming! Until recently, a tee time at Swinley Forest was a thing of myth and legend, but a new Secretary has meant that it is now possible for a visitor to get a tee time. An email is all that is needed and, like everywhere else we visited, the welcome was warm. There are certainly a few foibles - we weren’t allowed to see the hallowed toilets inside the main property for example! – but they can be easily forgiven. This is a par 69 course - 5,900 yards from the white tees - but it doesn’t feel a short course to play, or a long short course like West Sussex. It is just right! As Clayton says, it is really. The magnificent pines are almost always in view but they sit well back from the holes and act more as a backdrop than hazard. There is plenty of heather but, again, from the tee, it doesn’t impinge too much. There are few carries to worry the average golfer. Sunningdale New this is not. The par 3s here are wonderful, often cited as the best set in the UK, but the course has far more than that to love about it. If you can play only one inland course in the whole of Europe - make it this one! If you are looking to minimize travel then Bagshot would be a good place to base yourself. There is a perfectly serviceable Premier Inn there or the more glamorous PennyHill Park nearby. You are close to Swinley Forest and Sunningdale, with Walton Heath and St George’s Hill within 45 minutes drive. If you are looking for a little more nightlife, then Woking or Guildford may be a better bet, but you will be doing a little more travelling to the courses. Trying to second guess the English weather isn’t an easy challenge. We went in September and had pretty good weather. If I were pick the ‘safest’ time, I would go for June or July. These are usually the warmest and driest months, though nothing is ever certain. The courses had all suffered through the drought this year which meant that we probably didn’t see them at their best, but that is a relatively rare problem! However, if you are willing to take a bit more of a risk with the weather you will be rewarded with cheaper green fees. The trip we did cost £850 for the five green fees, the same trip in November would have been closer to £550. I’m definitely going to be making a return trip before too long. St George’s Hill and Woking were two big misses on our trip and there are plenty of others to add in. And I couldn’t drive past Swinley Forest without teeing it up there again! Golf media has undergone a revolution in the last few years. While newspapers have shed golf correspondents and magazine circulations dwindled, new channels have emerged for engaging an audience. Nothing epitomizes this more than the rise of No Laying Up. What started as a Twitter account and a blog has now become one of the most influential voices in golf. Players are happy to spend hours talking to them on podcasts, tournament organisers woo them to cover their events and the biggest corporates want them to promote their products. They have achieved this success, not just with good quality ‘banter’ (shudder) but by having an intelligent, articulate and thoughtful outlook on the game, presented in an entertaining way. At the start, some of the traditional media treated them with some cynicism, but there is now a real respect for what they have achieved. Their coverage of golf course architecture and golf holidays has been a real highlight in the last couple of years. Whether you like the YouTube series on their Australian trip, the write-ups of a trip to the north of England or the regular check-ins with the world’s best architects, there is plenty to get stuck into. Anyway, enough love. I am delighted to say that one of the founders, Soly, has shared his ten favourite courses for this series. Soly is a 1 handicap golfer who in recent years has played many of the world’s best courses – sometimes alongside some of the world’s best players. Thanks a lot Chris for taking the time to do this and the fantastic work with No Laying Up! It's the most fun you can have on a course for so many reasons. Ignoring all of the history (somehow), it's the most enjoyable strategic exercise I've ever experienced in golf. Golf's ultimate paradise. The sum of its parts equals the best overall golf experience I've ever had. It's probably Doak's best work, and it's idyllic setting makes it feel like you're playing golf on the Truman Show. As close to a perfect golf course as you can get. The course feels pretty remote, and once you get away from the clubhouse, you're shut off from the rest of the world. Pure turf, tremendous shot values, and everything you could want in a golf experience. The back nine is as enjoyable as any nine holes of golf anywhere on the planet. 12-18 are near perfection, and it's a place you could play every single day and never get bored. The best firm and fast experience I've had in the US. It may be viewed as Chicago Golf Club's little brother, but it's more fun, and it changed the way I view golf courses. Golf is so much more fun when the ball rolls, and besides links courses, I've never seen the ball roll like it did at Shoreacres. So pure. So challenging. It breaks a ton of "rules" but that's what makes it special. Not only will you need every club in your bag, you might use them all before you make the turn. A masterpiece. The scale is tremendous, the run up areas are specially maintained to be firm to promote run-up approach shots. The bunkers are cut straight into the greens, and the course is brilliantly routed around one enormous ridge. Probably my favorite course to play in the States. It's such a great test off the tee, yet it's not the end of the world when you miss fairways. Everything here comes down to your ability to hit the ball in the middle of the green, and the approach shots are as fun as you can get. This is the course that probably belongs on this list the least, but it's my list and I don't give a damn. I've played it twice and I've walked off so curious as to why it doesn't rank higher. It's not too special of a design, but it's such a simple links, and impossible not to enjoy. Not the most heralded of the Bandon bunch, but it's always been my favorite. I can't seem to master it, and every time I try to pin my ears back and attack it, I get bitten. The reveal on the 4th hole and seeing it for the first time with my Dad is a golf memory that won't ever be washed away with time. Not the most amazing golf course in the world, but the most insane golf experience I think I've had. $40 million dollar clubhouse, serene setting in the mountains in Korea, not a blade of grass out of place, and a really fun layout that uses the landscape brilliantly. Over the last couple of weeks I’ve been really delighted with the response to my posts about people’s favourite golf courses. In that time, a few notable figures in the world of golf have reached out to me to share their lists. Many thanks to Jim Herman for sending me his. Jim is Cincinnati born and bred and reached the PGA Tour via an assistant pro role at Trump National Bedminster and the web.com tour. His career highlight, so far, has been his 2016 win at the Shell Houston Open. These are the courses that I enjoy playing the most, not the ones I necessarily think are “the best”. I don’t consider myself an expert, but more of a consumer of golf courses. If I read about a course that looks interesting, or see a picture of something that catches my eye, I try to go see it. It could be anything from a Palm Beach par 3 with my wife, to the latest Coore and Crenshaw. I’m very fortunate to have played lots of Midwest courses when I grew up, then all the great New York and New Jersey courses while I was a club pro, and now I’ve had 13 years of touring golf all over the world. If I’m in the UK it’s normally sweater weather, and I’ll be walking with a push cart down the fairway with my friends and, the chances are, I’m loving it! I just love everything about golf. I always have, and I guess I always will. So far I’ve probably played about half of the world’s special courses, and I hope to eventually get to every last one. Merion has the best mix of holes on such an intimate property. Great history, and most important the membership bends over backwards to make you feel comfortable. My favorite courses are much much harder than a typical amateur’s favorites. But I believe there is ‘good hard’ and ‘bad hard’, and Carnoustie is my first choice for good hard! My favorite stop on tour. I laugh when people say it’s an average course if you take away 4, 5, 6, 7, 8, 9, 10, 14, 16, 17 & 18. My first exposure to what a great golf course was. The best value in golf is the 36 hole Am qualifier at Camargo. Every high school golfer in Cincinnati should be caddying there. This is my hidden gem, or at least I don’t hear it talked about. I’ve played it a few times and think it deserves more praise. A little of Merion to it. Course unfolds in parts. But it’s all good. I wish I could’ve seen the holes down by the water. Another example of ‘good hard’. It’s not perfectly presented right now, but for the rounds of play it gets, and being open to all, its a heck of a deal. I know, I know, I used to be on the payroll. Ignore the politics, ignore everything. What’s on the ground today is a legit good golf course. I haven’t played Royal Melbourne yet, so I’ll go with this as my favorite Sandbelt. Hard to go wrong in that neighborhood. (Hoping to see more of Oz next year if anybody wants to host!). Next up in my Favourite Courses series is Tom Doak. Tom is considered one of the true greats of modern golf course architecture. Five of the top fifty courses in the World have been designed by Tom - Pacific Dunes (18), Tara Iti (28), Barnbougle Dunes (36), Cape Kidnappers (43) and Ballyneal (45) - and he has many other great courses to his name. Tom is not scared to state an opinion and his Confidential Guide is often said to be the ultimate guide to the world’s golf courses. The 5th edition of the series is about to be published, covering Asia, Australia and New Zealand - essential reading for anyone planning a trip to those parts. Left off many lists of great courses because it's not challenging enough for great players. Not a problem for me! The original home of The Open fell off the rota in 1925 because it is too short and too cramped for large galleries, but the thrilling nature of the golf holes has never been in question. Lesser known links in the west of England, features stone walls as hazards, beautiful views of Daymer Bay, an ancient stone church inside the course, and the biggest bunker I've ever seen. The first great course in America, built by C.B. Macdonald as a homage to the great Links of the UK. The most beautiful piece of land devoted to golf. Set in a deep river canyon at the base of the Himalayas, with the 27,000 foot peak of Annapurna looming on the horizon. The ideal golf course that Augusta claims to be - perfect, tight playing surfaces, plenty of room for the member to get around, zero water hazards, yet a course that makes great players grind. A true Links, roamed by wallabies and wombats, with some of the best short par-4 holes in the world. Laid out over a 40,000 acre Montana ranch, the long loop of holes features mountain vistas, a rushing trout stream, elk, buffalo, and great golf. A big thanks to Tom for taking the time to do this. I’ve got Barnbougle Dunes on my hitlist for early next year and I can’t wait to see it for myself! Next up is PGA Tour player and golf course architecture fan, Jim Herman.